Carl Chan is known as the “Mayor of Chinatown” because he speaks and works for Asian people. Jian Di Liang, Oakland Voices 2012. Carl Chan, the president of Asian Health Services, is known as the mayor of Chinatown in Oakland. But since Oakland only has one mayor, who voted him head of that neighborhood?” The reputation was originally from the Oakland Tribune,” Carl said. Carl likes to step forward and speak for the business people and residents of Chinatown. So when a reporter came by his office about a decade ago for an interview, Carl’s office mates decided to play a joke. “When the reporter asked about who I was, my colleagues told them that I was the Mayor of Chinatown, because I participate in diverse volunteering events,” laughed Carl. 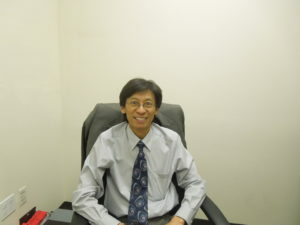 Carl immigrated from Hong Kong to the US in the 1970s, when he was 15 years old. Before moving, Carl recalled, “I thought only white people lived in the US, and I imagined modern technology and high rises everywhere.” Carl dreamed that America was “a new world, and that was really attractive to me. But it was different when I saw what it was. “It was hard to contact families in China since the only way was to mail letters in the 70s. It usually took at least one month to receive a letter from my hometown,” Carl smiled and said. Today, Carl Chan is a modern business man who holds on to a strong sense of the past. He wants Chinese people in America to always remember the hard work that Chinese immigrants have done in the US since migrant workers began arriving in the mid 1800s. Their labor indirectly helped create many of the opportunities that Chinese people have in this country today. “Families broke apart and we should all remember their hard work. Without the ancestors, we would not have the happiness we enjoy right now,” Carl said. Carl is a really nice gentleman. It is my pleasure to meet with him and know his stories. I have learned a lot from him. By Jian Di Liang, Oakland Voices 2012. Carl’s day job is director of Claremont Development, an East Bay real estate company. Carl also believes in using his time to give back to his community. 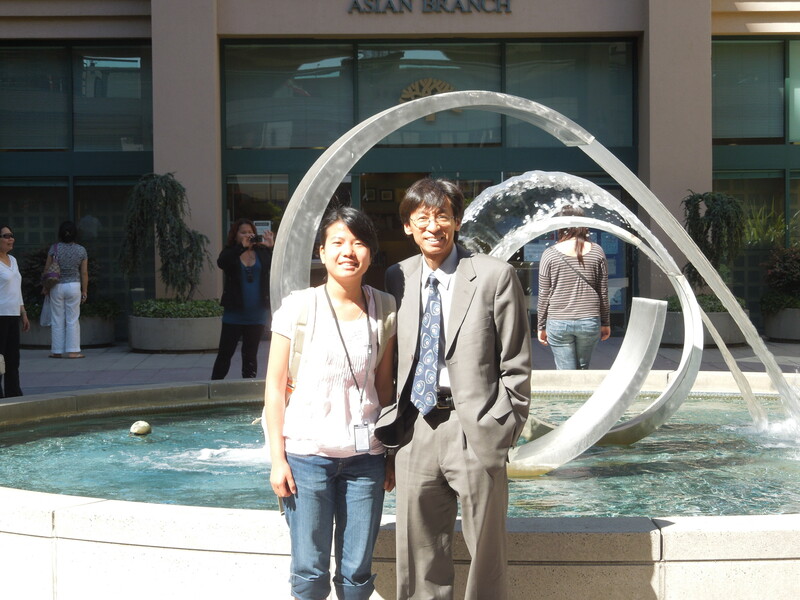 Since the 70s, Carl has been volunteering for diverse non-profit organizations, including Asian Health Services, Oakland Chinatown Chamber of Commerce, and the Neighborhood Crime Prevention Council. He said it’s important to balance working for a living, and volunteerism. One way to make Oakland better, Carl said, is to boost the quality of health care in Chinatown. He has been working at the Asian Health Services (AHS) since he was a teenager. He said the low-cost care AHS offers is valuable to the community. Otherwise, many sick people who cannot afford treatment would end up with more serious illnesses and cannot work. It actually costs the government more to provide treatment in hospitals. Jian Di Liang (Charlotte) is from China. She is enthusiastic, friendly and outgoing. Meeting new people and traveling are her biggest interests.